The Song of Moses (Deuteronomy 32:8) in the Masoretic Text describes the Most High dividing the nations according to number of “the sons [children?] 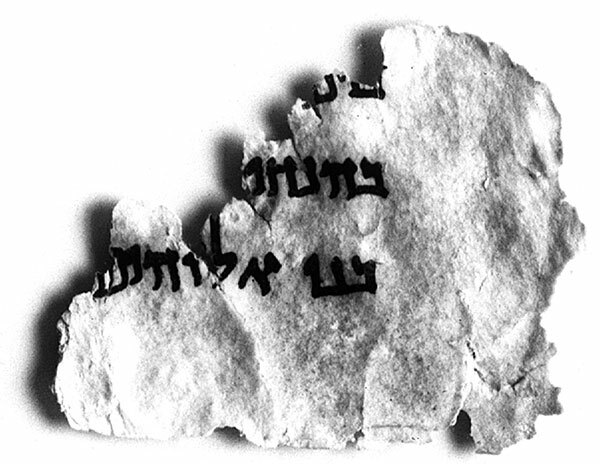 of Israel.” This Dead Sea Scroll fragment (4QDeutj) and the third-century B.C.E. translation of the Hebrew Pentateuch into Greek (the Septuagint [LXX]), however, say the nations were divided according to the “sons of Elohim” (God). What did the original Bible text say? Photo: IAA. Some of the Dead Sea Scrolls actually have more in common with the Greek Septuagint than the traditional Hebrew Masoretic Text, showing that the Greek translators must have been translating from Hebrew texts that resembled the Dead Sea Scrolls. Are the Dead Sea Scroll texts as trustworthy as these other two sources? Are they as close to the text of the original Bible? The Great Isaiah Scroll is one of the most iconic of the Dead Sea Scrolls, yet it does not reflect the original language of the Bible. Tov calls it “a classroom example of what an inferior text looks like, with its manifold contextual changes, harmonizations, grammatical adaptions, etc.” Photo: John C. Trevor, Ph.D. Digital Image: James E. Trevor. Some turn to the Dead Sea Scrolls simply because they are older: 2,000-year-old texts were less likely to be subjected to scribal corruption, implying that they reflect a more original Bible language. Tov supplements this chronological reasoning with a logical—and admittedly subjective—approach: He examines which text makes the most sense in a given context. Tov examines a number of textual discrepancies between Bible versions (Did God finish work on the sixth or seventh day before resting on the seventh day? How were the nations divided according to the number of the sons of God?) in his search for the original Bible. The Dead Sea Scrolls have been called the greatest manuscript find of all time. Explore the BAS Dead Sea Scrolls page for dozens of articles on the scrolls’ significance, discovery and scholarship. The evidence of the Septuagint, being in Greek, always depends on a reconstruction into Hebrew, and consequently the Qumran scroll here helps us in deciding between the various options. Incidentally an offering of a “three-year-old bull” is mentioned in Genesis 15:9. It shows that a Hebrew text underlying the Septuagint once existed in which Hannah brought only one three-year-old bull. Subscribers: Continue on the search for the “original” Bible as Emanuel Tov explores different versions of important Biblical passages. 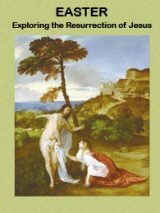 Read the full article “Searching for the ‘Original’ Bible” by Emanuel Tov as it appears in the July/August 2014 issue of Biblical Archaeology Review. This Bible History Daily article was originally published on June 27, 2014. There is no longer “The Septuagint “. It was lost centuries ago. Any claim that we have copies of the true and only Septuagint are completely false. Why can’t I find an actual Greek Bible that I can read Kuyrios THeos PantoKrator Basilios, kai Iesouys ho KHristos, on the internet? THey give me a bunch of silly nonsense about books I can’t buy, but no one on the internet has the faintest clue how to put the New Testament Zondervan Interlinear hEllenika Greek on the internet, like EuvAnggelion kata Ioanen, En arkhe en ho logos, kai ho logos en pros ton THeon, kai THeos en ho logos. Lost Conklin book blocks my use of library. Codex Vaticanus and Codex Sinaticus greek septuagints are the oldest sources and were neglected for too long because early scholars thought the masoretic text was closer to the original. Thankfully this is no longer the case and some errors are gradually being corrected which confirm prophecies quoted in the New Testament. I have asked Bible Gateway to include Brentons Septuagint in their translations but they will not do it for some reason. Interesting….I like reading Tov sometimes. NIV says “three year old bull” but the AOTC commentator argues against that and translates “weaned him with three bulls” and then explains his reasoning…… I find these other comments by people on this site interesting. Tov may or may not think himself the final arbiter on biblical translation, as Gareth seems to believe, but he is one voice, and that is fine. @Laura, I think you meant “…LATER translations…” as the Aleppo Codex was written in the 10th Century (901 – 1000) AD/CE or a little earlier (roughly) than the Masoretic Text. Thus translations earlier than the 10th Century AD/CE couldn’t have been copied from it. Also remember that the Greek Septuagint IS a Greek translation(s) from Hebrew versions of the Torah. Since the Septuagint was written in the 3rd Century (300 – 201) BC/BCE, those Hebrew Torahs were most likely written in the late 4th Century (350 – 301) or early 3rd Century BC/BCE. Its interesting that Tov considers himself the only one with the correct interpretation of the bible. Sometimes what may be “inconsistencies” are actually there for a reason. While he may be a bible scholar the bible will always be viewed from the beliefs of the one translating it which in my opinion is where it always has gone wrong. They should provide a word for word translation and allow interested readers to interpret it as they see it. I must it seems really odd and obnoxious to say the dead sea scrolls are a “inferior text” simply because it does not match the beliefs of Tov. Classical and amateur mistake is to discard something based solely on how one sees the world or how things should be according to them. I recall reading (I think it was in BAR) that the Dead Sea Scrolls are a mix of masoretic and non-masoretic texts, with the majority being masoretic. This article makes it sound like all of the Dead Sea Scrolls are non-masoretic. The oldest text I have heard of is the Allepo Codex and it was in Hebrew so I would think earlier translations would have been originally copied from it. I have read that Scribes would come from all over the World to check there texts against the Allepo to make sure there text matched it perfectly. Love you guys. The KJV is one of hundreds of English translations of what survives of the original manuscripts, in Hebrew, Aramaic, Greek — what have you. Today the Bible leaves us with a series of linguistic conundrums that can never be “solved” — which is in itself the real message of the Bible: it’s not about words, it’s about awakening to the reality of our existence in our universe and contemplating what we make of it. It wasn’t until 1,200 AD when the KJV come out that JESUS existed. He was NEVER in the ORIGINAL writings! He really NEVER EXISTED! Just like there was no such person as the Virgin mother Mary. The REAL virgin in the ORIGINAL writings was mother MARIAN, not Mary! The original writings there was NO GOD, he was YAHWEH! The catholic TRANSLATIONS will condemn you! I would like to know where can i get a english copy of ancient biblical old testament text. KJV was not inspired by GOD… …but by man, do ur research! Slave says: I completely agree! Debates , confusion , translation of words and verses , please , we can’t debate the greatest commandment of them all which needs no interpretation no special language . To have LOVE amongst yourselves , to LOVE your enemy. Discussions are great , but some discussions lead to frustration and anger . If we can all master this commandment our world would be a better place for us all . Is our Lord, Savior and soon comng King an idea, fable or the most authentic vessel of truth and clarity to man’s existence? Are the Holy Scriptures just a conglomoration of contaminated writings or the history and future accurately narrated of our LORD’S journey from Creator in creation; to the Babe hiding in Egypt; to the Lamb slain on the cross and finally the conquering King who shall return to judge this world? What about the recorded truths concerning Israel and “those who call themselves jews and are not”? Translations? I’m not going to get distracted by minor differences, what is important is that I know the truth and how it is going to climax and those arguments/differences have no bearing on my eternal salvation. Ecc 12:13 Let us hear the conclusion of the whole matter, fear God and keep His commandments, for this is the whole duty of man. And oh btw, I just have to remind us all, this is Hebrew hero tale. It is a huge planet with about a million OTHER Hero tales that have nothing to do w/ Jesus. Read the other JC (Joseph Campbell) and learn of heros. Jesus’ life story, myth, PR, historical truths and hyperbole are sacred and worthwhile. But ultimate reality of our origins? No. Walk with ALL the heros. One creator force brought us all into being. But to believe in only one story, is egocentric and ignorant. The real truth, I suspect, is far more incredible than one man dying on a cross. Far more, mind blowing and far too complicated for us humans to fathom. Yet, the death and resurrection motif is so powerful an icon, it alone serves to draw us into a deeper inward journey. Interesting history of course. However, so much competing/conflicting dogma to slog through which is why I posit this: I sit by a tree and sense if, feel it, recognize the tree as, ‘tree.’ Why then would I dwell on dogma of ‘tree,’ instead of simply, sitting with the tree? No dogma. Just, tree as she is, created by a seeding decades ago. Dogma kills the poetry. Humans eat metaphor like hungry jackals and never sit by a tree. This is why, scriptures of any kind, fail. The words of men, lowly men ne’re a deity. Or for that matter, a tree. Peace. The word of God would have been written in the language of the original writer! Copies would have been made through time and written in other languages!! The originals most likely, wouldn’t have survived time!! What did survive are copies and so we have something to think and argue about! The word of God still hold’s it’s value as being absolutely the truth!! In the bigger picture of things, are you ready to meet the almighty God !! I just hope to hear him say well done my good and faithful servant, and I hope that along the way I have made the difference in someone life that they hear those same words as well !! GOD bless you all !! My friends just believe that Jesus Christ who died on Calvary shed his blood for you, and that by shedding his blood he covered your sins and obey the 10 Commandments. My Jewish friends “Your Savior” has already come and he is coming again! God is a supernatural God and will lift the veil from your eyes if you earnestly prey for truth. Although it is next to impossible to obey “the commandments” at all times in your walk through life, God sent you a redeemer. Christ is Lord of Lords and King of Kings. Rejoice for the Angels are Rejoicing in Heaven that the time is near for our Savoir is soon to return “again”. May he open all hearts to this Truth….. Amen! All this intense study and you still neglect the most important fact! THE HEBREWS ARE NEGROID DESCENT. AND YAHUSHA (JESUS) WAS TOO! Does anyone know of research done on differences between the 5 Books of Moses as found in the Dead Sea scrolls and the ones scribed today? What is the government of today up to? In regards to modern changes? we are all lost and none of us can see. the scriptures tell us about the Messiah. Jesus full filled the profecies. It also says that Jesus teach them but and multitudes followed him. I wonder what was He teaching that only a few things got written. And what else he taught his disciples? No one of them took more notes of his teachings? The book of Enoch talks about the Son of Man. Jesus is called the Son of Man in so many verses. people saying Jesus is not the Messiah and that he is Satan and they say the same thing about the Book of Enoch. are we believing the lies? we think we have faith but do we? but one thing is for sure we all forgot about righteousness. HEBREW TEXT: The Masoretic Hebrew text used for the preparation of the English text of the Hebrew Scripture portion of the New World Translation was the Codex Leningrad B 19A (of U.S.S.R.), as presented in R. Kittel’s Biblia Hebraica (BHK), seventh, eighth and ninth editions (1951-55). An update of this work known as Biblia Hebraica Stuttgartensia (BHS), 1977 edition, was used to prepare the footnote apparatus of this 1984 edition. Italicized words designated as “Heb.” are transliterated from BHS. Can you please provide specific details (title and or isbn) to what you would consider the most credible translation of the Dead Sea Scrolls? An email with this information would be greatly appreciated. I find mistranslations and man made stories written in Modern day bibles. The true original texts are gone. Although i do believe some is true. Ya he dejado antes una respuesta pero si la borran no es culpa mia. Psalm 12:6-7 the words The Lord are pure words:as silver tried in a furnace of earth,purified seven times. Thou shalt keep them,O Lord, thou shalt preserve them from this generation for ever. Hosea 8:12 I have written to him the great things of my law,but they were counted as a strange thing. Looking unto Jesus the author and finisher of our faith;….Folks He wrote It and preserved it. There can’t be a couple hundred years with out a English written bible and if the Dead Sea scrolls are the TRUE scrolls that would be the case. Kjv 1611 niv 1978. For they DO NOT say the same thing.Satan is very powerful and very deceitful. Look at what he said to eve in the garden, Yea, hath God said,… Questioning her did God really say that. If God is the author of one who is the author of the rest?He lives He lives!!! The Maseritic texts MUST be correct –hence ,no conflict. For the simple reason , the 300BCE copy called the septuigent does not exist and never did. We’ve had recent comments about the reliability of biblical translations in light of the Dead Sea Scrolls (DSS) or Septuagint Version (LXX). I guess that some perceive a possible conflict between the Masoretic Text, the LXX and the DSS. I consulted Geza Vermes translation of the DSS (introductory notes) and he appears to downplay any potential difficulty that might exist for how we read Scripture juxtaposed with the DSS or LXX. The example adduced by Tov from 1 Samuel 1:24 provides an interesting case study. We are assured by God Himself that the Word will remain intact. I have complete faith that the message of the Bible is what God intends it to be. “And it came to pass, when the most blessed Mary went into the temple (called the ‘Capitol of Egypt’) with the little child, that all the idols prostrated themselves on the ground, so that all of them were lying on their faces shattered and broken to pieces, and thus was said by the prophet Isaiah; ‘Behold, the Lord will come upon a swift cloud, and will enter Egypt, and all the handiwork of the Egyptians shall be moved at His presence (Isaiah 19:1)” (The Gospel of Pseudo-Matthew, chapter 23). Anyone who researches the source(s) of the Old Testament and ignores Elephantine is just presenting incomplete research. My challenge to any scholar is to draw the border between Israel and Egypt in 1000 BCE on a map. We all base our so called ‘facts’ on a virtual border that’s meaningless historically. We just imagine a border, but nobody has ever been able to draw it on a map. We don’t even know when the Delta was flooded and when it was dry, let alone a border. The actual archeology points to Elephantine as being the oldest Hebrew Temple we have. The oldest inscriptions of YHVH are the Shasu of YWH inscriptions in Nubia just south of Elephantine. The oldest mention of the, ‘House of YHVH’ is at Elephantine. There no evidence of a Temple in modern Jerusalem before Herod, in fact Josephus says there was only an altar of huge white stones, and that Herod removed whatever was there and built the Temple Mount. The stories of the return of the of the captives to the Temple in Ezra and Nehemiah are exclusively about the restoration of the Temple at Elephantine under Darius II. The names of the people and the events regarding the Temple are the same as the names and events at Elephantine. It’s pure ignorance to say the return of the captives was under Darius I, after all the only Darius after Artaxerxes was Darius II. Fundamentalists just say the book of Ezra is all mixed up ;-))). There never was a return to modern Jerusalem archeologically speaking; it was the restoration of the Temple at Elephantine under Darius II about 419 BCE. In fact Ezra himself literally says there was no previous Temple when the Temple was started, the foundation hadn’t been laid. Elephantine began under Cyrus the Great but was stopped sometime after the reign of Cambyses. It was later rebuilt under Darius II. Exactly as the chronology of the Book of Ezra has it. Josephus records the writing of Hecateus regarding what was on the Mound in modern Jerusalem before Herod in Apion I, 22. These are most likely the stones Herod used for the base of the Temple Mount (wailing wall). As for Jesus? Long before John introduced us to the Lamb of God, there was the Prophesy of the Lamb, or Oracle of the Lamb (6 CE) in the Nile Delta. It’s a story of a Lamb sent from God to judge the world. Since this was written when Jesus was 5 years old (6CE), it would have been circulating when Jesus, Mary and Josephus went into Egypt right? “marginal”? Hmmm… Let us not forget that there was a ‘synagogue of the Alexandrians’ in Jerusalem catering for members of the Diaspora from Egypt. As a place of pilgrimage, Jerusalem was a hotbed of sectarianism then just as it is today. The Elephantine texts are interesting but marginal. They come from a small Jewish community well away from the core community in Judea or in Persia. The text from Kings about Rabshakeh implies that the Judeans spoke Hebrew, not Aramaic, although the two languages are close relatives. 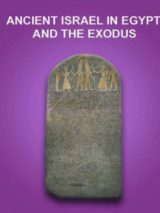 Indeed, the relationship of Hebrew to Aramaic, as well as Edomite and Moabite, is close enough to infer that the Hebrew-speaking Israelites came from the east, not from the Canaanite or Phoenician coastal cities. All the First Temple-era texts from archaeological work are in Hebrew, written in paleo-Hebrew script. Aramaic did not become a lingua franca until the Persian conquest. The Persians made Aramaic one of the official languages of their empire. Before that, it was an obscure language of a small kingdom around Damascus. As for Jesus’ supposed quote from the LXX Isaiah, it’s far more likely that the gospel’s report of Jesus speaking is not verbatim, but copied by the evangelist from the LXX he knew in Greek. Wherever the NT quotes the Hebrew bible, it’s always the LXX. But that’s not surprising: the evangelists were Greek-speaking authors working and preaching in a Hellenistic environment that was completely Greek in language. The LXX was natural. It surprises me that up till now people discuss about Jesus when the Dead sea scrolls have proven that Jesus is a might of The Romans and a total allegory. Even the Demon whom The satanic kingdom has given power as Jesus has tried to kill me after I refused his warning not to tell people that he is not real. This is because YHWH revealed whom this entity is to me in 2007. The worst thing anybody will do is to talk about this evil name Jesus. Lack of repentance has made it impossible for YHWH to reveal hidden truth about the evil Christianity in this world. The messiah is not Jesus if you are spirit filled to see the messiah you will know that Jesus is a pagan deity (zeus) without Glory like Yahshua in spirit. Allelu-Yah. From a prophetic standpoint, and on at least some level, historical as well, the fact that the Elephantine Jewish community existed where it did makes it a dubious outlier. YHWH explicitly told Israel that they were never to return to Egypt. This community utterly disregarded that command, and so it must be taken into account that this community didn’t have a tremendous amount of internal motivation to live in complete accord with YHWH’s word, This is true regardless of the fact that they maintained a temple in honor of YHWH. This shouldn’t cause any problems of understanding–the Bible is filled with testimony that Israelites either apostatized altogether or liberally mixed YHWH worship with “pagan” religion. Historically, we have found images of YHWH with a consort, which constitutes a double transgression. Even Aaron’s golden calf was welcomed with a feast to YHWH. I’m not suggesting that Elephantine has nothing a value to offer scholars and historians, but it should be acknowledged for what it was…a rather bizarre little cult that tried to honor the God they deliberately chose to dishonor. Could it offer something of value not generally acknowledged? Possibly, but the evidence needs to be convincingly presented. Interesting that Rose brought up the issue of the Jewish community in Elephantine being mostly ignored. Their prescence at Egpyt’s southern border to provide security fit in with their pastoralist lifestyle shared by the Cushite people, “for all shepherds are abhorent to the Egyptians” (Genesis 46:34). It also appears this community was in fullfillment of Isaiah 19:18; “On that day there shall be five cities in the land of Egypt speaking the language of Canaan and swearing by the Lord of Hosts; one shall be called ‘City of the Sun'” (New American Bible). The temple at Abu Simbel that was built in honor of Pharaoh Ramses was oriented toward the rising sun and was adorned with statues of baboons raising their hands in adoration of the rising sun; 22 of them, like the letters of the Hebrew/Aramaic alphabet. Anybody can see the Elephantine texts. 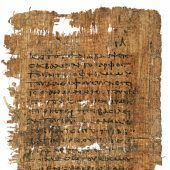 The earliest language recording Bible verses would be Aramaic, as the Elephantine Papyrus is the oldest existing source. The Passover Papyrus is from 419 BCE during the reign of Darius II and follows the history and individuals names in both Ezra and Nehemiah. Corresponding names are Delaiah, Sanaballatt, YHVH, Queen of Heaven, and Darius. Corresponding places are Judea, Bethel (Bethel being Elephantine in some of the texts) and the House of YHVH. Corresponding themes are the stoppage and rebuilding of the Temple, its walls and doors. Meaning there is a record of Bible events going back at least to 419 BCE. The oldest language that records these events in existence today is Aramaic. While this may not fit one’s axiom(s), it’s never the less actuality. Which comes back to the sources of the original Biblical texts. Why no mention of Elephantine? If the texts found at Elephantine were found in modern Jerusalem, Christians and Jews would be in everybody’s face about what it ‘proves’. Yet the texts are right there at the Hebrew Temple in Elephantine and Christianity and Judaism mostly brushes them under the carpet as if they were a red headed step child. Wonder why? First written Text,? Records? Of Bible ?,and what Script? What Language? There was separation of letters between words far earlier that the writing of the Septuagint and the final version of the Masoretic text so I dont think that is the cause of the scribal error.. It is easy to see though, how the MEM might have moved to the end of PAR. Good point Kelly. On the other hand the inconsistency between the texts is in itself proof that the texts were inconsistent. If we dissolve the axioms and assumptions like, “Jesus spoke Aramaic”, or “Greek was the lingua franca of Galilee and Judea”, and simply follow the texts, we come to a completely different conclusion. Josephus who was the Governor of Galilee between 64 CE and 66 CE says the people in Judea and Galilee only spoke Hebrew (not Aramaic or Greek) and Greek was only used by the Aristocrats and ruling class, never the Priesthood in Galilee and Jerusalem. Josephus clearly differentiates between the Hebrew tongue and Syrian tongue (Aramaic). 2. …….When Rabshakeh had made this speech in the Hebrew tongue, for he was skillful in that language, Eliakim was afraid lest the multitude that heard him should be disturbed; so he desired him to speak in the Syrian tongue. Josephus says Greek was unaccustomed (i.e. not the lingua franca of the priesthood in Galilee and Jerusalem). 2. Now I have undertaken the present work, as thinking it will appear to all the Greeks worthy of their study; for it will contain all our antiquities, and the constitution of our government, as interpreted out of the Hebrew Scriptures. …….. I grew weary and went on slowly, it being a large subject, and a difficult thing to translate our history into a foreign, and to us unaccustomed language. Josephus had to go to great pains to learn Greek. However this was not the case in Alexandria as Philo is only aware of the Greek Old Testament. He describes the meaning of the changing of Abram to Abraham, and Sari to Sarah using the Greek spellings of the names, Philo is clueless to the Hebrew spellings. VIII, ….. the letter rho, appears to have bestowed upon men a most marvellous and great benefit; for he has called the wife of Abram Sarrah instead of Sarah, doubling the Rho,” and connecting a number of similar arguments without drawing breath, and joking and mocking, he went through many instances. After studying Philo and Josephus, it’s crystal clear that the Greek scriptures emanated from Alexandria, while the Hebrew Scriptures were from Judea/Galilee. So why is Jesus reading from a Greek Bible at a Synagogue in Nazareth? What language are Pilate and Jesus speaking in this image? As for Aramaic, it’s was the language that first recorded the Passover (Elephantine Texts), however if Josephus is to be believed (as well as the archeology), Aramaic was only in use by the Syrians according to the ancient writings themselves. Interesting article — and interesting discussion between Rose and Kelly. Very interesting–and contextually, very lame. The context of “the original Bible” is sadly misleading, since the original texts for the Torah were wriiten in Jerusalem, starting in the tenth century, BCE. And that’s the context most relevant to a Hebraic original, i.e. the context of the Jewish authorship. I appreciate this detailed comment. I, however, see a difference between a statement that is either included/omitted in one text or another and statements that seem contradictory as Tov cited. The problem with this research is that it’s totally up to the interpretation of Tov. Additionally the text chosen for comparison in this article is kinda’ a red herring. Why not look at Isaiah 61 as it was quoted by Jesus Christ himself in Luke 4:18,19? What we see is that the Dead Sea Scrolls are not consistent among themselves. In the Great Isaiah Scroll we do not have the language, “recovery of sight to the blind” as part of Isaiah 61, which matches the King James Version of Isaiah. While 4Q521 does have, “recovery of sight to the blind”, which is in harmony with Christ himself who quotes, “recovery of sight to the blind” as being part of Isaiah 61. Which would mean Christ read from the LXX, not any Hebrew or Aramaic text right?. 1)	The LXX claims, “recovery of sight to the blind” is part of Isaiah 61. 2)	Scroll 4Q521 does have , “recovery of sight to the blind”. 3)	Luke claims, “recovery of sight to the blind” was part of Isaiah 61. 4)	The Masoretic Text does not have, “recovery of sight to the blind” in Isaiah 61. 5)	The Great Isaiah Scroll(s) do not have, “recovery of sight to the blind” in Isaiah 61. 1 The Spirit of the Lord GOD is upon me; because YHWH has anointed me to preach good tidings to the weak; to bind up the brokenhearted, to call to the captives liberty, and to the imprisoned the opening of prison. Very interesting. I have assumed that this was already been done by scholars, but perhaps not. It was also news to me that the Torah was translated in the Greek before the rest of the LXX– as early as the third century BC.